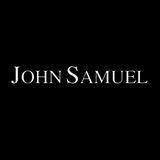 Get your expert high-quality articles on John Samuel published on multiple partner sites. John Samuel Fonolive.com, #1 Social Classifieds. John Samuel is an independent seller of posh all-natural home decor products including marble, limestone, granite, slate and porcelain tiles, exterior paving and wood flooring all at highly reasonable deals. Uniquely, John Samuel's showroom is a modified mobile library meaning we can bring the showroom to you. View our extensive range of impressive materials in the exact place they will be put in and at a time convenient to you. Evening and weekend consultations always available. Projects we take on include residential new builds and major refurbishments of period properties. We also deal with commercial businesses including hotels, spas and restaurants. Share your John Samuel, Warninglid West Sussex experience.